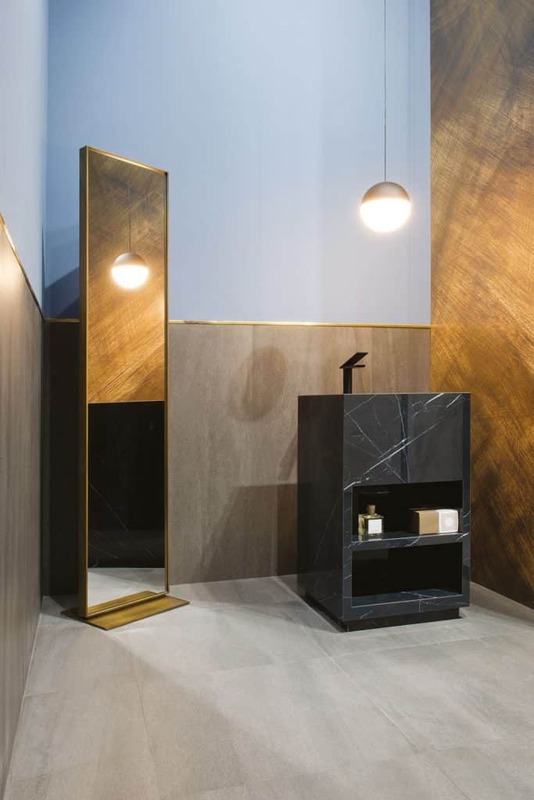 For the Salone Internazionale del Mobile in Milan, Fiandre Architectural Surfaces is exhibiting the AQUA MAXIMUM collection, a collection of customizable shower trays and washbasins. All the furnishings of the AQUA MAXIMUM collection are created as unique items and assembled manually in a process typical of craftsmanship. 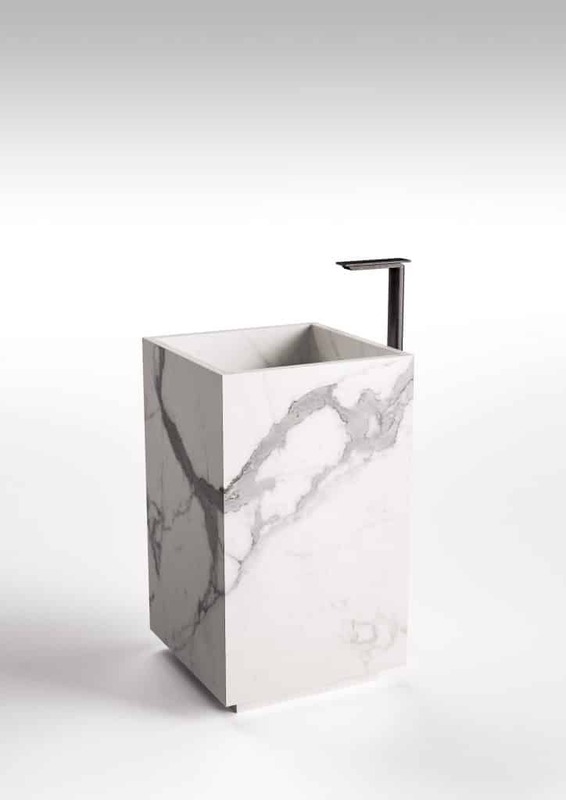 Each type of washbasin, top or shower tray can be made in different standard size variants: from the integrated single or double washbasin, both with up&down waterfall version, to the pedestal washbasin and single or double shower trays, perfect for both private homes and for the world of luxury contract. The core of each element is made up of a high-density structure that ensures great rigidity and waterproofing, while all visible surfaces are lined with MAXIMUM® Fiandre Extralite porcelain stoneware surfaces: thanks to this technology, the furnishings maintain the aesthetic and technical qualities of stoneware such as scratch resistance, unalterable colour and surface and simple maintenance. Fiandre Architectural Surfaces is a brand of the Iris Ceramica Group leader in the production of high-end full-body porcelain stoneware.